Welcome to Club Penguin Clan Guest! Post about Club Penguin here if it does not fall into a different categorie. Post here if you have a cool club that you have made. Post here if you are planning a party. Post here if you have made any type of Club Penguin artwork. Have a Club Penguin Idea or a suggestion? Post it here. 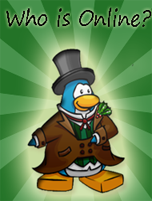 Find the latest Club Pengin updates here. Post here about anything that does not fall into any other forum. Post here about the latest things you've seen on the news. Say hello if your new! If your leaving for little bit tell us. Talk about anything that happened at school here. Members can post about their day here. If you have any non Club Penguin related art post here. Need help with GFX? Got a good tutorial? Then post it here. Make your GFX teams and battle here. Signature Of The Week takes place here. Hosted By 7Styl3. Enjoy fun an creative contests here. Play forum games and even suggest them here. Old Club Penguin Clan threads go here.